Tomorrow one of your colleagues is going to excitedly rush up to your desk to tell you about the awesome thing that happened to them during their holiday vacation and you’re going to log onto every social network and see an endless stream of yearend accomplishments and a glowing highlight reel of someone else’s success. This way of thinking is clearly a dead-end street that you need to get off of right now. Instead of groveling when you hear about good things happening to other people, you should first change your perspective about your own situation. Are you really losing? Is everything in your life really not going well for you in that moment? Success for you and success for someone else may look completely different. Make sure your definition of success is based on the things that you value in your own life. If you base your definition of success on someone else’s journey, of course you’ll come up short every time. Next, pay attention to your reaction to good news that isn’t yours. Try and understand why you reacted this way. Is this something you’ve always wanted to accomplish yourself? 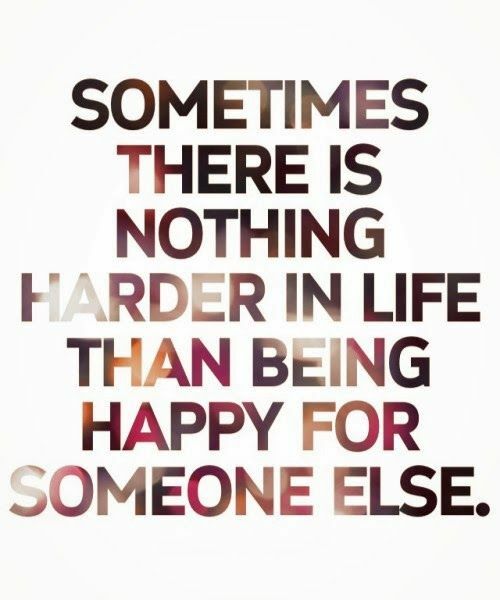 Or, are you simply unable to be happy for someone else if you’re not also experiencing success at that time? What is it? The quicker you understand your own reaction and emotions the easier it’ll be to change that into positive energy. Energy is a finite resource. So we have to guard it. When you have negative thoughts about someone else, you’re making a choice to spend energy on a non-productive activity. How has your anger, frustration or negativity ever helped you move forward? Chances are, it hasn’t; so stop! The next time someone shares their good fortune with you, really listen and celebrate with them. And when your mind inevitably turns inward to reflect on your own situation, be inspired and encouraged. Think of their success story as an affirmation of what’s possible in your own life. And then get back on the grind and go for yours!